June 20, 2017 – Today About Face Anti-Aging Institute is proud to announce that Jeff Garberich, Physician Assistant and co-owner, is now an instructor at the Injectable Academy at the Texas Laser Institute (TLI), a worldwide leader in aesthetics training. He will continue to service clients at About Face Anti-Aging Institute during the week for normal business hours, and conduct training courses at TLI on weekends. It is About Face’s mission to never stop learning, which had brought Jeff to Texas Laser Institute multiple times to attend training courses himself. It was there that he met the owner and staff and they recognized his talent and passion for injecting. 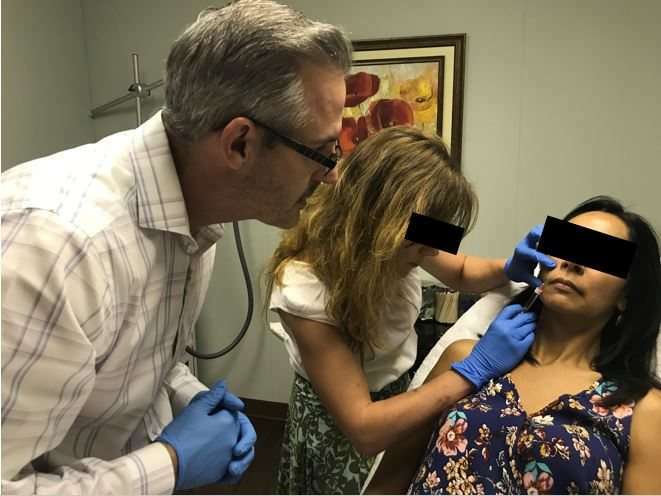 “I have always been impressed with their class offerings and instructors, so I told them about my credentials with injecting, like being a certified master injector from Allergan, as well as my experience teaching in the army. After some discussion, we all decided that I would be a great fit for their Injectable Academy,” explained Jeff Garberich. For over 20 years in the army, Jeff taught classes on topics such as trauma, primary care, aviation medicine, women’s health, and pediatrics, to name a few. Jeff Garberich will teach his next class in July at the campus in Dallas, Texas.